The Index opened flat and stayed in a narrow range for the better part of morning session only to see huge up move in the second half to scale 8600 but closed just below at 8586.25, huge gain of 95.25 points. The broader market was also very positive, with 1211 advances to 298 declines. Developing Range as per Option Table comes 8400-9000. Call option 8800-9100 added 4.62 lacs OI with short covering seen at 8600 and below strike prices. 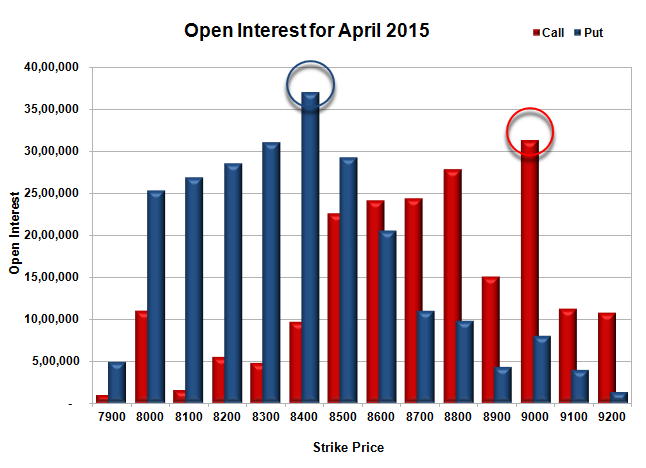 Put option 8600-8000 added huge 21.42 lacs OI with small short covering seen at 8900 and above strike prices. 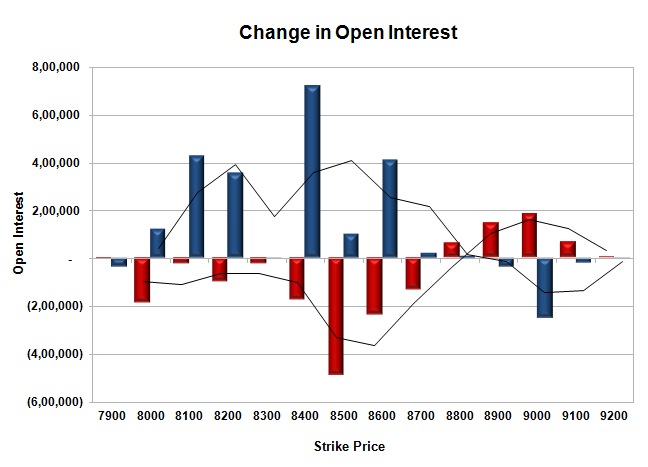 Nifty Open Interest is at 1,89,73,525 down by 5,43,225, with increase in price, most probably huge short covering. Bank Nifty Open Interest is at 18,42,725 down by 2,47,375, with increase in price, most probably huge short covering. FII’s bought 1.00 lacs Futures, which includes 7265 contracts long build-up and 3262 contracts short build-up, with increase in net OI by 10527 contracts (includes 66604 longs to 62601 shorts for the day) and the Average Price comes to 8734.20. FII’s Index future open contract as on date is 518814 Longs to 133404 Shorts, net long 385410 up by 4003 contracts. Initial support at 8500, with OI of 29.32 lacs and below that at 8400 with highest OI of 37.04 lacs. Initial resistance at 8700, with OI of 24.34 lacs and above that at 9000 with OI of 31.35 lacs. 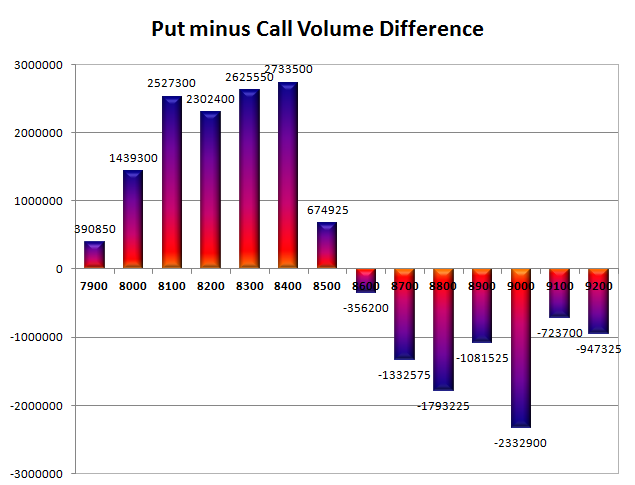 Day Range as per Option Table is 8472 - 8649 and as per VIX is 8525 - 8648 with 8551 as the Pivot.